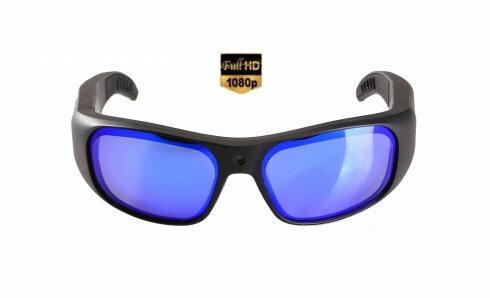 Waterproof sunglasses FULL HD camera with UV filter + 16GB memory are practical and easy to use, so they can find the use in different situations to capture the best images. 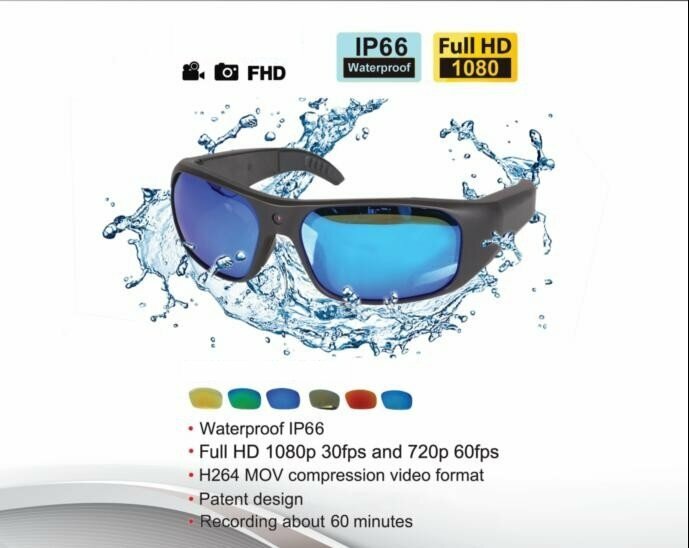 Waterproof sunglasses FULL HD camera with UV filter + 16GB memory are practical and easy to use, so they can find the use in different situations to capture the best images. Record unforgettable moments from your vacation right from your view, completely unnoticed and without any complications. Built-in HD 5 MP camera with high-quality CMOS sensor captures 1920x1080 video at 30 frames per second along with high-quality sound. Also you can use glasses for photography to capture interesting images or situations. All recorded data, such as videos and photos, is stored on a 16 GB internal built-in memory, allowing glasses to serve as a portable storage. Turn on the goggles and start recording using the button on the right side of the sunglasses at the bottom of the frame. 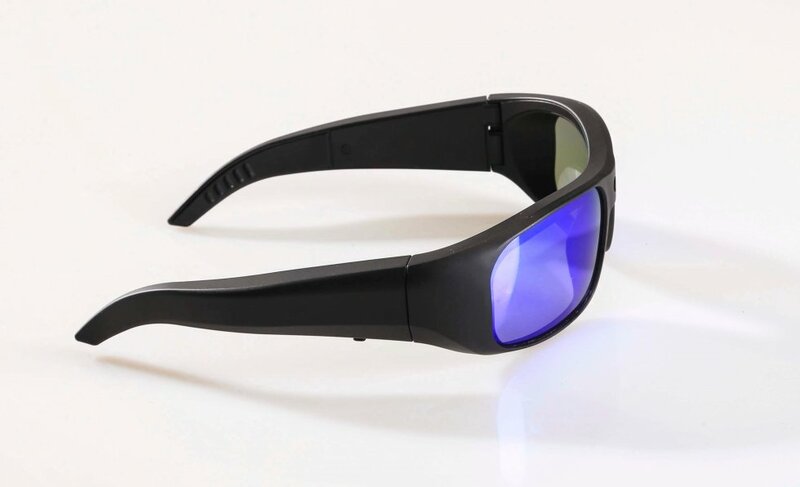 On the internal side of the glasses there is a red indicator that informs you by flashing along with the vibration of the frame, about the current status of the glasses. Glasses come with an USB connector to charge your glasses, or you can download data files (recorded videos) to your computer. 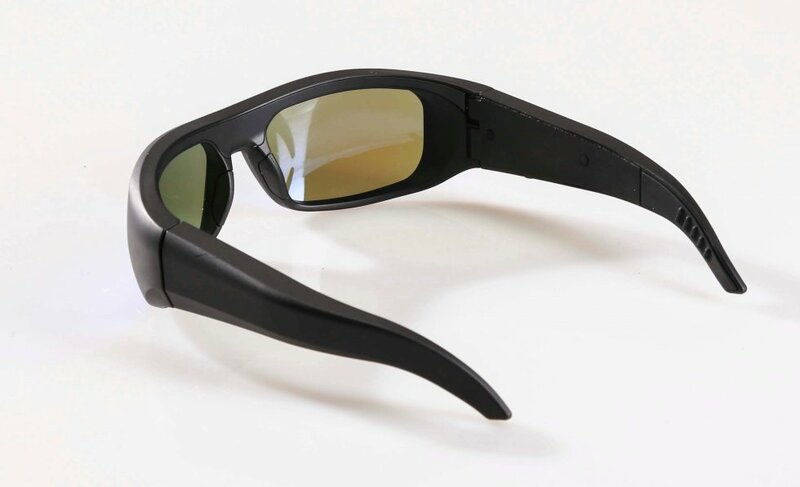 Fully charged glasses can record video continuously for about 1 hour. Stylish glasses, have not only the function of video camera, but also serve as fully functional sun glasses as they are made of glass with UV 400 filter. Therefore, your eyes will be protected from harmful UV radiation from the sun while wearing your glasses. Glasses are also waterproof and therefore is not the problem for them to record even in the adverse conditions like rain, snow and so on. 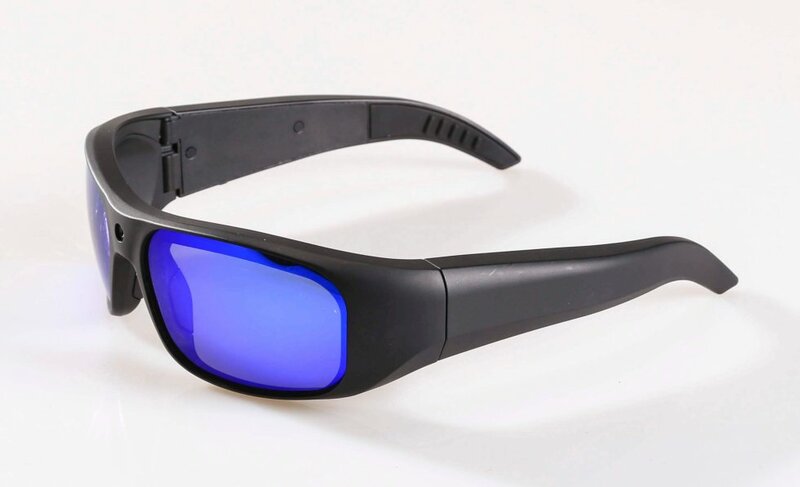 These exclusive sunglasses find their use in a variety of sporting activities such as running, windsurfing, fishing, cycling, or even a classic wearing during sunny day.